Home > Education, Educational Policy, History, Religion, Secularism, Texas, The New York Times, US Constitution	> Faith-Based History: "Wrapped in a Flag, Carrying a Cross"
Faith-Based History: "Wrapped in a Flag, Carrying a Cross"
The New York Times magazine recently printed an article on the battle over history (and more general educational) standards in the Texas School System, which has huge influence over the national textbook market. Much of the situation is disturbing – fundamentalist Christians with no particular expertise are rewriting (or trying to) the academic subject standards. 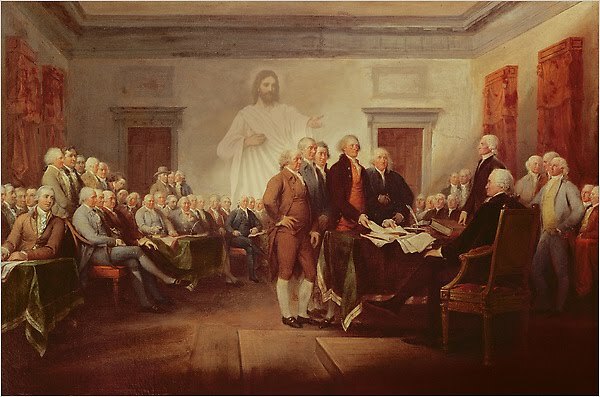 America’s religious history should not be whitewashed, but the obvious politicization of history by the Christianist school board members should appall any dispassionate historian or educator.